On Tuesday 16th September 2013 the J League made a public announcement that is set to be the footballing news story of the season in Japan and even overshadow the result of this year's Championship. The J League has decided to return the J1 championship to a two stage format from season 2015 for the first time since season 2004. All the talk across social media since the news broke, has been about this controversial decision. My opinion is clear. I much prefer to remain with the current single season format. I believe that football is a simple game and is played within a simple league system. I just believe that the champion should be the best team after playing everyone in the league home and away. As I said, simple. The J League would like to introduce a two stage system which would climax in a play off series, the details of which are as yet unclear. The J league believe that this will increase viewer excitement and thereby attract more fans into the stadiums and more money into J league coffers. That may be true. However I would argue that firstly this system will not find the best team of the season. Such a system is common to fans of North American sports such as baseball and basketball, but anathema to most European fans of football. It works in those sports, but I don't want to see it in football. We just do not believe that it's a fair way to find the team deserving of the title champion. In many ways the excitement the J League hopes to create by installing the 2 stage format, is very contrived. I wonder why the J League feels the need to do this, when it already has an exciting league in operation. Compared to the major leagues in Europe, the J league has provided a wider variety of champions. In fact the current champions, Sanfrecce Hiroshima are first time holders of the title. They now sit third with 9 games to go. So it's quite possible that the title will change hands again. Boring? In need of a drastic overhaul? I cannot say so. Secondly I feel that it's far from certain that the new fans enticed along for the play offs will stay for the week in week out season's fixtures. They are most likely to turn up for the dramatic finale but won't be seen at the less glamorous matches. We'll see just how many more make it through the turnstiles across the land in 2015 if the J League do indeed go along with this proposal. Perhaps it is the case that any increase in numbers, however short-term, makes the changes worthwhile. The ironic part of this is that if the 2 stage format was being used for this season, Omiya Ardija would be in with a shout of the title, having qualified for the play offs by finishing 2nd in the first stage. Well, actually we are in with a shout right now as we stand in 7th place, 9 points behind the leaders and 9 games left. An outside chance you might exclaim, but still a chance. 3 wins and other results go our way and we could be right up there. 3 losses and we could be hurtling to our usual 13th place finish. Not enough excitement for you? Opinion is definitely divided, although the 'No' camp have so far been more vociferous than the 'Yes' camp. Japanese fans have been displaying banners around the stadiums on matchdays. Some fans went to J League HQ to demonstrate. Social networking sites are full of angry comments. But it seems that the J league have guaranteed themselves a big pay day from sponsors as long as they introduce this controversial format. A big fat pay day that they cannot refuse, even in the face of disgruntled fans. I would love to see new fans come into the stadiums. It would be great to see the J League bringing in new plans to attract more supporters. But not this way. Not for me. Here are my ideas to boost the domestic game. I'm sure you will have others. It's not rocket science. I think it would be more constructive to look at ways of making the current cup competitions more exciting and dramatic. They seem tired and only burst into life from the semifinal stage. The group stage of the Yamazaki Nabisco cup is awful. A lot of work could be done to revamp these competitions. A return to J1 fixtures taking place from Friday night through Saturday until Sunday evening would allow a greater number of people to get to games. I have been unable to attend a number of Saturday games due to work commitments. I'm sure many other workers find it hard to go along to games now they are all on Saturday. The marketing of the J League could be so much better. I have only seen one poor piece of advertising with Gonchan. Why doesn't the J league utilise all the young, exciting players like Kakitani, Kudo, Yuya Osako to get the kids wanting to go and watch. Why not get some of the National team exports to Europe to do a bit of work on behalf of the league that helped them on their way to success in the Premier League, Bundesliga, Serie A and other leagues across Europe? If Winning Eleven can get cool advertising, why can't the J league? Other things to consider would be ticket pricing, merchandising pricing, the choice of games on TV and the presentation of them, both in-studio discussions and match commentators. So, I'm still hoping the J league reconsider their decision and I'm left wondering whether the fans feel so passionately against this proposal that they would go as far as a mass boycott and deny themselves their pleasure. To follow their team and enjoy the game of football. The people's game. If they do, I'll join them for as long as it takes. But it won't mean I've forgotten the team or the club. That never fades. And I will say this. In 2015 if the 2 stage format comes in. I will still be an Omiya Ardija fan, and I'll still follow them in the stadium and on the television. I can't give my football up. But it will be different. And I'm not sure if it will be the same. See below various links to recent articles on this issue which are worth reading. Andrew McKirdy of the Japan Times wrote this piece that sets out his concerns. You can find it on the Japan Times website at www.japantimes.co.jp/sports It's headline is "J League courting disaster with return to two-stage season." Ben Maxwell and Alan Gibson discuss the topic on this latest J Talk podcast. You can find it at jtalkpodcast.blogspot.com. Angus MacLeod has posted this balanced article looking at some of the reasons why the J League feels the need to change and possible future impacts. Find the article on Angus' website at Japanfooty.com. 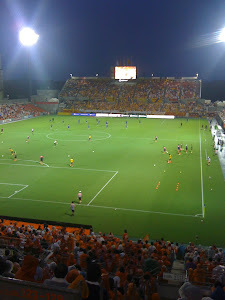 Barry Valder, Shimizu S Pulse fan and blogger has his say on this divisive issue at his blog s-pulseukultras.blogspot.jp. Most of the above articles share my opinion. I would like to post some articles here, which are in favour of the changes. But as yet I haven't found any. If I do, I'll be sure to reference them in the name of balance.